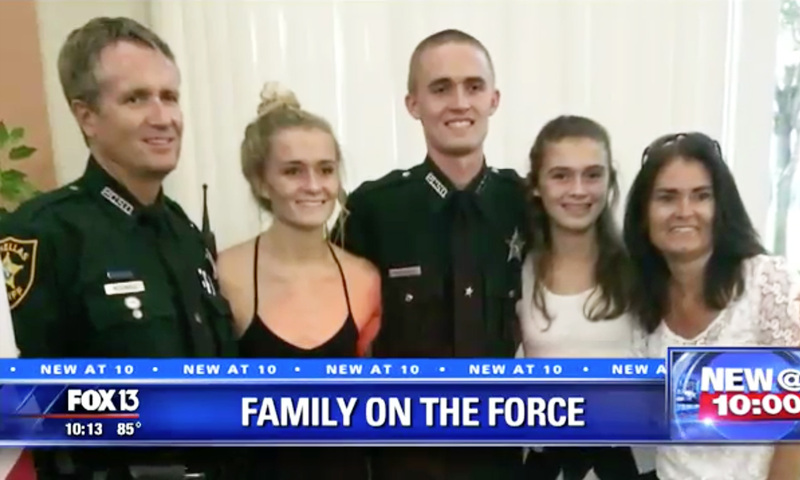 First Dad joined the force, his son followed in his footsteps, and now his daughter is part of the latest class of deputy recruits at the sheriff’s office. Next week, Jacklyn McGonigle will be out of the classroom and starting her career as a detention deputy. But the 21-year-old didn’t always have her sights set on police work. “I was a level 10 gymnast, so that’s the highest level before Olympics,” she said. After a back injury shattered her goal of performing with Cirque du Soleil, Jacklyn needed a new plan. She found inspiration in her family. “I had always admired my Dad and what he did, so after I saw my brother graduate, and how much my Dad enjoyed his job, that’s was when I decided this was what I want to do,” said Jacklyn. Justin, her older brother, graduated from the academy two years ago. His choice to join the agency also surprised loved ones.